IATA (International Air Transport Association) forecasts Pakistan domestic air travel will grow at least 9.5% per year, more than 2X faster than the world average annual growth rate of 4.1% over the next 20 years. The Indian and Brazilian domestic markets will grow at 6.9% and 5.4% respectively. In a clear sign of Pakistan's rising middle class choosing air travel, the number of domestic and international air travelers in Pakistan grew by 8% to 17.9 million in fiscal year 2013-14 compared to previous year, recording the fastest growth in passenger traffic in the last three years, according to data provided by the Civil Aviation Authority (CAA) and published by Pakistan's Express Tribune newspaper. Growth in air travel is pushing new airport upgrades and new construction to handle more passengers. Examples of new or upgraded airports include Islamabad, Multan and Sialkot. Chinese domestic air travel market will surpass the US market to claim the number 1 spot by 2030, according to figures released by by IATA. Currently the ninth largest market, India will see a total of 367 million passengers by 2034, an extra 266 million annual passengers compared to today. It will overtake the United Kingdom (148 million extra passengers, total market 337 million) to become the 3rd largest market around 2031. Pakistan International Airlines, the nation's state-owned carrier, is continuing to lose both market share and money in the midst of explosive growth in air travel. Pakistan's private carriers Shaheen, Air Blue and Indus Air and foreign carriers like Emirates and Saudia have benefited at the expense of PIA. "It is an exciting prospect to think that in the next 20 years more than twice as many passengers as today will have the chance to fly. Air connectivity on this scale will help transform economic opportunities for millions of people," IATA chief Tony Tyler said in his comments on the report. In 20 years' time, "we can expect aviation to be supporting around 105 million jobs and USD six trillion in GDP," he said. The NAP 2015 offers a bilateral “Open Skies Policy” to other countries, based on reciprocity; a level playing field for domestic and national airlines, and the liberalized aviation sector by allowing markets to determine the price, quality, frequency and range of air services options; and taxes structured and simplified in line with the best international practices to promote transportation, spur GDP growth and create jobs. It's good to see that the aviation sector in Pakistan is finally beginning to get the attention it deserves as a growth market to increase investment, improve service to travelers and create new jobs. Air Arabia announced today that the city of Multan in Pakistan will join its route network next month, bringing the total number of destinations in the country served by the region’s first and largest low-cost carrier to six. Starting May 1, 2015, Air Arabia will operate services to Multan on Sundays, Mondays, Wednesdays and Fridays. Flights will depart Sharjah International Airport at 04:45 and land in Pakistan at 08:20. Return flights will operate on the same days, leaving Multan International Airport at 09:00 before arriving in Sharjah at 10:50. Local Time. 2015 has witnessed a number of significant additions to the Air Arabia network. In January, it was the first low-cost airline from the Middle East and Africa to enter the Chinese market with the launch of services to Urumqi, the largest city in Western China. The carrier also added Isfahan and Sanandaj in Iran and Gizan in Saudi Arabia in the first quarter of the year, as well increased the frequency of services on a number of existing routes. The government sold its entire stake in the country’s largest private-sector bank for $1.02 billion Saturday, the biggest so far in a series of divestitures planned to help revive Pakistan’s economy. The government approved a strike price of 168 Pakistani rupees, about $1.68, per share, for its 41.5% stake, or 609 million shares, in Habib Bank Ltd. on Saturday, compared with the floor price of 166 rupees, or $1.66, set at the start of book-building, which began Tuesday. Pakistan’s privatization minister Mohammad Zubair said the stake was “heavily oversubscribed,” with offers worth $1.6 billion for 955 million shares, of which $1.2 billion was offered by foreign investors. Of the $1.02 billion raised, the finance ministry said $764 million was foreign investment. “The bulk of this money, $764 million dollars [from international investors], will boost foreign exchange reserves, which will stabilize the currency further, which in turn will have a positive impact on inflation,” Mr. Zubair said. Pakistan had $16.7 billion in total liquid foreign exchange reserves as of April 3, according to the central bank. Prime Minister Nawaz Sharif’s government has made privatization and divestitures from as many as 31 state enterprises major components of its plan to boost Pakistan’s economy, especially its foreign exchange reserves. Mr. Sharif’s government has already sold shares in United Bank, Allied Bank and energy company Pakistan Petroleum Ltd. A plan to sell a portion of the government’s stake in the Oil and Gas Development Co. Ltd., the country’s largest oil and gas business, for $800 million was abandoned in November because of poor investor demand. The sale of the government’s Habib Bank stake is Pakistan’s largest capital market transaction in a decade, officials said. The government is currently working on the privatization of Pakistan International Airlines, Pakistan Steel Mills and several power distribution companies, finance ministry and privatization commission officials said. Brokers and analysts said interest in the Habib Bank shares was boosted by strong participation by foreign investors. Habib Bank has Pakistan’s largest deposit base and the most extensive network of branches. It has operations in 29 countries, according to the bank’s website. The Aga Khan Fund for Economic Development bought a 51% stake in the bank when it was privatized in 2004. UAE’s budget carrier Air Arabia has added Pakistani city of Quetta to its list of destinations, making it the Sharjah-based carrier’s seventh destination in Pakistan. “We now have seven of Pakistan's biggest cities covered with direct services from two airports in the UAE and we hope to add more in the future as part of our ongoing commitment to serve the country,” said Adel A. Ali, Group CEO of Air Arabia. Quetta services will commence on Wednesday, June 17, 2015. Quetta joins Karachi, Peshawar, Sialkot, Lahore, Islamabad and Multan as Pakistani cities served by direct Air Arabia flights from Sharjah and Ras Al Khaimah airports. On May 21, another UAE carrier, Flydubai, announced direct flights to Quetta in Pakistan from June 11, 2015, with three flights a week. UAE-based Air Arabia has named Faisalabad as the latest city to join its rapidly growing Pakistan route network. When flights to the country's third largest city start in October, Faisalabad will join Islamabad, Karachi, Lahore, Multan, Peshawar, Quetta and Sialkot as Pakistani cities served from the UAE by the low-cost carrier. Faisalabad is a city of more than two million people located in the province of Punjab. A major centre of industry and manufacturing, the city is estimated to contribute approximately one fifth of Pakistan's total GDP. "Air Arabia has a long-standing commitment to serve the Pakistan market and we are proud to operate an exceptionally comprehensive route network covering the length and breadth of the country," said Adel A Ali, Group CEO of Air Arabia. Having secured additional rights of operations from the Pakistani government, Dubai-based international airline, Emirates, is all set to deprive the domestic carriers, including Pakistan International Airlines, Shaheen Airlines and Air Blue, of their share in the industry. Emirates, which started its operations in March 1985 after getting two planes from Pakistan International Airlines (PIA), now operates in 78 countries with 3,300 flights per week. Recently, the Civil Aviation Authority (CAA) has given it additional rights to operate in Quetta, Panjgur, Turbat and Gwadar, diverting the local passengers from the national carriers to Emirates for direct flights to Dubai and other countries of the world. “This is a big loss to the Pakistani airlines including Shaheen and PIA as the passengers of these cities were using services of national carriers. Three American airlines are fighting against Emirates’ operations in USA, but the Pakistani government was giving more and more rights to Emirates. This is not fair,” said a PIA official. “On the other hand, the government has been trying to privatise PIA for the last several years. Is the government trying to sell off the country to foreigners or what? How are the domestic stakeholders supposed to flourish if the government keeps on facilitating international companies?” he questioned. According to CAA, on June 5, 2015, Bilateral Air Services Agreement talks between Pakistan and United Arab Emirates were held in Islamabad. The talks were held in a friendly and cordial atmosphere regarding all outstanding issues. Landmark changes in the new agreement include opening up four airports of Balochistan; Quetta, Panjgur, Turbat, and Gwadar, to five airlines of UAE for unlimited operations, a CAA official said, adding that this will facilitate the citizens of these districts to fly abroad directly from their hometowns. However, the CAA official said that traffic rights to the airlines of UAE for Lahore, Islamabad and Peshawar have been frozen at the current level for the time being due to infrastructural constraints at these airports. For Karachi, the open skies arrangements between Dubai and Karachi concluded in 1998 remains intact. “Pakistani airlines, on the other hand, will enjoy unlimited traffic rights from all airports of Pakistan to all airports of UAE. Our airlines would also be free to operate beyond UAE to any other country of the world,” he added. “The additional services to Karachi and the introduction of Multan to our network will position Pakistan as Emirates’ fourth most highly served country worldwide with 80 return flights a week operating between Dubai and Pakistan,” said West Asia and Indian Ocean Commercial Operations Senior Vice President Ahmed Khoory. Moreover, the three big US airlines – Delta Air Lines, United Continental Holdings and American Airlines Group – alleged that Emirates, Etihad, and Qatar airlines received more than $42 billion in “unfair subsidies” from the Gulf government. As a result, the Gulf carriers are able to take the US airlines’ market by offering cheap flight fares, which does not make economic sense. However, the three Gulf airlines completely denied all the allegations. The US airlines also requested the United States government to review the Open Skies agreement, through which Gulf carriers operate in US. Emirates President Tim Clark told reports on the sidelines of an International Air Transport Authority (IATA) meeting that the airline will submit a detailed report to the US government in response to US airlines’ accusation that it was one of the carriers receiving unfair subsidies from the Gulf government. Earlier last week, Etihad also submitted a 60-page report to the US government to counter the US airlines’ allegation. In an attempt to promote tourism in country's scenic northern region, the Pakistan International Airlines (PIA) has included an A320 plane on its route to Skardu, the central valley of Gilgit-Baltistan region, said a press release issued by the airlines. The A320 jet departed for its inaugural flight to Skardu from Islamabad airport. "The flight carrying over 100 passengers departed from Islamabad and landed at Skardu Airport", the press release said. The plane carried PIA's retro livery from the 1960s, a part of its 60th anniversary celebrations this year. Previously smaller aircraft such as Fokkers, ATRs and B737s linked Islamabad with Skardu. A ceremony was held at Skardu airport which was attended by Skardu residents to welcome the new A320 service. According to the press release, the A320 has a much larger seating capacity and would cater to the needs of not only local population but also of tourists. The scenic natural beauty and views of some of the world’s highest peaks attract many tourists to Skardu. Special Assistant to Prime Minister on Aviation Shujaat Azeem, who was also among the passengers, remarked, "This will further facilitate tourism and economic improvement of the region towards realising the vision of the present government." Local exporters have decided to launch a private airline with the collaboration of the Sialkot International Airport Limited (SIAL). Sialkot Chamber of Commerce and Industry (SCCI) President Fazal Jilani told newsmen here on Wednesday that the airline – Sialkot International Airline – would be formally launched within the next two weeks. He said it would be another mega project by the local businessmen after the establishment of the airport. In 2014, the Pakistan government agreed to a sell off parts of various strategic state-owned assets, including power corporations and steelmakers as well as PIA. The move to divest corporations was a condition of a $6.7 billion loan deal with the International Monetary Fund made in 2013. Pakistan Minister of State for Privatization Mohammad Zubair said at the time of the agreement that the sale of PIA would commence in mid-2015. “The process is absolutely on and financial advisers are performing their job, [working on] the Pakistan International Airlines (PIA) sale,” he said. In 2014, Pakistan’s Prime Minister Nawaz Sharif gave approval for the airline to take five new Boeing 777 aircraft, in addition to an agreement for 13 leased Airbus A320s, of which the fifth was delivered in June 2015. “With newer versions of fuel-efficient aircraft, the employees will have to put in extra efforts for turning around the corporation [prior to sale],” PIA managing director Shahnawaz Rehman said. But government intervention and factional delays have pushed the timeline back twice already, with the original deal for a restructuring prior to a 26% IPO sell-off still subject to internal opposition and political wrangling. In the meantime, the airline is posting continuing losses—in the first quarter, it lost PKR2.1 billion ($206 million) taking its total losses to date to $2.1 billion. Gerry’s Dnata, the largest ground handler in Pakistan, has ramped up its scale of operations in Pakistan with the commencement of its service at three new airports in Pakistan investing over $4 million. Gerry’s Dnata is a joint venture between Dubai’s Dnata and Gerry’s group in Pakistan. To support the growth of the aviation industry across Pakistan, Gerry’s Dnata has launched services at Multan International airport (MUX) on May 1, Quetta International (UET) on June 11 and Faisalabad International (LYP) on July 11 this year. “We have been supporting the aviation industry in Pakistan since 1993,” said Syed Haris Raza, Vice-President of Gerry’s Dnata. The new airport locations increase Gerry’s footprint to seven airports across Pakistan, including Karachi, Lahore, Islamabad, and Peshawar, and makes it the largest ground handler in Pakistan, now able to welcome over 3 million passengers in and out of these locations every year. BEIJING (Online) – Air China on Saturday announced it would launch four new Asian routes in October, connecting Beijing to more destinations in south and southeast Asia. Flights linking Beijing and Karachi, Pakistan, will launch on Oct. 26 with three flights every week. It will stop in the country’s capital Islamabad. The Beijing-Mumbai, India, route will be launched on Oct. 25, with four flights every week. On the same day, flights will also begin connecting Beijing with Kuala Lumpur, Malaysia, with four flights every week. On Oct. 27, another route linking Beijing with Colombo, Sri Lanka, will begin, with three flights every week. The addition of direct services to the cities of Faisalabad and Multan are scheduled to launch in December, the airline said in a statement. The airline will operate four weekly direct flights to Multan and three weekly services to Faisalabad, it added. Ahmed Janahi, chief commercial officer, said: "We are committed to serving the Pakistan market, as we have done since our first entry in 1960. "Accordingly, we are delighted to supplement our existing operations - catering to passenger demand from across the country. "I would like to extend our thanks to the Pakistan authorities and Pakistan Civil Aviation Authority for facilitating and supporting this new development that I am confident will be well received by passengers." The new launches will take the carrier's total number of Pakistan destinations to seven in addition to Karachi, Lahore, Islamabad, Peshawar and Sialkot. Gulf Air flights to Multan, Pakistan's fifth largest city by population, and Faisalabad, a major industrial and manufacturing hub, will be operated by an Airbus A320 aircraft. Gulf Air said in August that its year-on-year losses reduced by 30 percent in the first half of 2014. The airline's revenues increased by 10 percent during the same period, its chairman said in a statement without giving specific figures. Bahrain national carrier, Gulf Air, said on Tuesday it recently started flights to Pakistani cities Multan and Faisalabad. The two new flights increases Gulf Air’s services to Pakistan to seven. It also flies to Karachi, Lahore, Islamabad, Peshawar and Sialkot. The flights to Multan and Faisalabad are operated by an Airbus A320, a narrow body single aisle aircraft, according to an emailed statement. Multan is Pakistan’s 5th most populated city and Faisalabad is a major industrial and manufacturing hub. Gerry’s dnata, a 50/50 joint venture between Gerry’s and dnata, has announced its plans to invest $18 million in Pakistan. The joint-venture, created in 1993, operates in as many as seven airports in Pakistan. Its main domain is handling cargo and luggage of 12 international airlines at Pakistan’s airports. 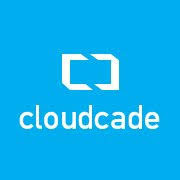 The company is aiming to double its working capacity by December 2017. For that purpose, they have invested $18 million. The amount will be utilized in buying ground service equipment as well as increasing storage capacity. “We have placed Pakistan’s biggest order for ground service equipment worth $7 million and are investing another $11 million to double storage capacity of our warehouse at Karachi airport,” said Syed Haris Raza, Gerry’s dnata vice president. Haris Raza estimates the cargo traded by air in Pakistan to about 10 percent of the total cargo. He also said that around 500,000 tons of cargo is transported by air freight in and out of the country, every year. The Saudi Arabian Airlines, which operates over 40 flights a week to and from Pakistan, recently decided to outsource its ground handling services to Gerry’s dnata. The investment was made after taking that into consideration. In his letter to Pakistan Prime Minister, Muhammad Nawaz Sharif, Boeing Company’s Vice Chairman Ray Conner expressed his inclination towards enhanced cooperation for PIA’s improved performance. Meanwhile, he offered 787 Dreamliner passenger aircraft instead of 777, which was agreed in the previous contract signed in 2006. The business relationship between the two companies extends way back in 1961, when PIA placed four planes order for Boeing 707 and Boeing 720. So far, the airline had ordered 11 planes order for Boeing 707/720 family, six planes order for Boeing 737 family, two planes order for Boeing 747 family, four planes order for Boeing DC-10, whereas 13 planes order for Boeing 777 family. This accumulates to the total of 36 planes of different models, out of which 31 planes are duly delivered by the aircraft manufacturer. For the remaining five 777-300ER model planes, the aforementioned offer was made. The order was initially placed in 2002, which is still undelivered. According to the company’s official specification, Boeing 777-300ER has 396 passengers capacity; whereas it has the capability to travel 13,650 kilometers distance in one go. Its maximum allowed takeoff weight is 351,530 kilogram. Its official market price as of August 2016 is $339.6 million. On the other hand, Boeing 787-10 Dreamliner has 330 passengers capacity, having the capability to travel 11,910 kilometer distance in one go. Its maximum takeoff weight was not disclosed, since it is still in the completion mode and is expected to be released later this year. Its official market price as of August 2016 is $306.1 million. Last week, Boeing CFO Greg Smith attended Jefferies Industrials Conference. In this conference, he disclosed that the company is intended to reduce Boeing 777 family production to halt Boeing 787 family, if both these wide-body aircraft keep depicting lower demand. It is pertinent to note that as of August 2, 2016, the aircraft manufacturer had claimed collective $1.7 billion in after-tax duties against excess Boeing 787 inventory and sluggish Boeing 747 sales, in its 2QFY16 financial results. It is hereby apparent that PIA had paid more amount to Boeing against which it gets offer of lesser value plane, after 14 years. Furthermore, through 777-300ER, PIA could offer more passengers’ commutation against 787-10 Dreamliner. Besides this, 787-10 Dreamliner delivery will take another couple of years, as it is slated to start deliveries from 2018 onwards. After being number one in terms of growth for almost two years, the Indian aviation market became the third fastest growing market after China and Russia overtook it in in domestic air passenger traffic between January-March this year. NEW DELHI (Sputnik) — China's domestic aviation market grew by 15.1% in comparison to Russia's 14.8% and India's 14.6%, the International Air Transport Association (IATA) said in its report. The Chinese growth is an indication of the reversing economy growth. "The solid upward trend in traffic is underpinned by ongoing robust growth in the country's services sector, as well as supply developments," report added. The Indian aviation market grew at its slowest pace since September 2015. "This is the first possible sign of reduced cash supply and wider economic uncertainty weighing on demand." This refers to the demonetization move initiated by the Narendra Modi government in November 2016 whereas 86% of the currency lost its legal tender status. Russia posted the second fastest domestic growth in March. "This recovery is set against an improving economic outlook as oil prices have firmed," the report analyzed. Narendra Modi government has initiated several measures such as higher foreign investment, new aviation policy, cheaper air turbine fuel and attractive regional connectivity schemes to boost aviation in the country. 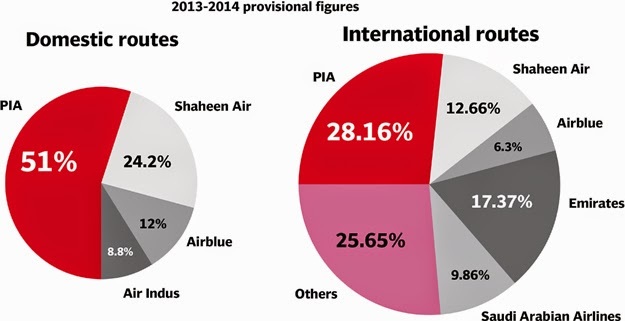 Pakistan's total aviation market grew 8.9% from 2014-15 to 2015-16, according to CAA data. Pakistan's domestic market increased 9.52% from 2014-15 to 2015-16. Pakistan's international market grew 8.5% from 2014-15 to 2015-16. After a long rough patch, Indian aviation is finally booming, but that burst of growth is now taking a toll on the industry's infrastructure. High operating costs, intense competition and the collapse of Kingfisher Airlines had weakened both business and civil sectors in previous years, but recently the Indian market has turned a corner into the world's fastest growing, largely thanks to supportive government policies. India is currently the sole bright spot in Asia's aviation sector, Neil Book, CEO at the largest independent aviation firm JSSI, told CNBC's "Squawk Box" on Wednesday. Private jet sales are up and the emerging middle/upper classes have witnessed double-digit growth rates in travel, he explained. The upper middle class made up 8 percent of the population in 2015, and is set to hit 12 percent by 2020, according to Boston Consulting Group. Meanwhile, the ultra-high net worth population--defined as those whose net worth exceeds $50 million--stood at 178,000 in 2016 and will increase 57 percent by 2021, estimates Credit Suisse. Unlike his predecessors, Prime Minister Narendra Modi has loosened industry restrictions that are set to increase new aircraft deliveries as well as in-service and used business jets, Book continued. Indeed, 2016 was a landmark year for Indian carriers as Modi unveiled a national civil aviation policy aimed at expanding air travel. Under the policy, domestic airlines are no longer required to log five years of domestic routes before getting an overseas permit, known as the 5/20 rule. The government also said it would limit base fares on regional routes to 2,500 rupees ($37) per hour of travel in an attempt to make flying more viable for commercial passengers. As strong economic fundamentals boosts air traffic, India may even overtake Japan this year to become the world's third largest domestic market behind the U.S. and China, the Centre of Aviation (CAPA) stated in a new report. But the skies aren't entirely clear. The biggest risk to Indian aviation is the same one plaguing the national economy: creaky infrastructure. "India faces the very real prospect of an airport capacity crisis," CAPA noted. "Slot constraints and congestion are key issues at most metro airports and are expected to remain so for the near term as new terminals and runways will take 2-3 years to develop." The developments of new airports, such as the Navi Mumbai International Airport, have also been subject to lengthy delays, CAPA added. Airspace is another potential concern on the supply side, with CAPA recommending that the air navigations services division of the Airports Authority of India be hived-off as a separate entity and corporatized. If airports remain saturated, choking off air connectivity to India's centers of commerce, industry and tourism, the economic ramifications could be severe, CAPA warned. Integrated Aviation Solutions (IAS) Pakistan was launched in Pakistan Yesterday, IAS will be working as a strategic partner of IGR International Aircraft Sales LLC, the partnership will focus on the regions Asia, Middle East and Africa. IAS will help in regulating aviation industry in Pakistan, IAS would also polish the talented individuals and professionals for the aviation industry. Pakistan has a large number of talented youth ready to serve as best professionals in the industry meeting the higher international standards, said CEO Syed Hamid Ali, while addressing the ceremony in a hotel in Islamabad. 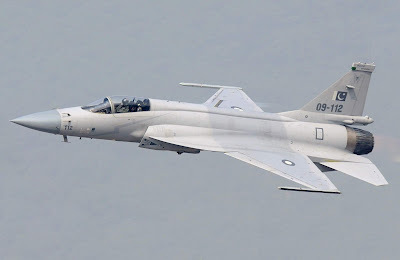 “On its own initiative IAS has established a unique professional institution in Pakistan, responsible for providing technical and vocational training and education in aviation”, With all these efforts Pakistani aviation professionals would be able to play an important role in the International aviation industry, said Ali. According to him, IAS would also serve as a consultant to Kamra Aeronautical Complex (KMC) for capitalizing and expanding their commercial aspects, he added. Ali also briefed about future plans of IAS, he said, “IAS has already planned to start its operations at the New Islamabad International Airport, the role of IAS would be to help regulate airlines in training and maintenance of their entire operations. Hoping for the favorable outcomes of gigantic CPEC project, he also expressed his views about the promotion and growth of aviation industry due to the project. He said Pakistan should be prepared for the commercial opportunities associated with the CPEC project in the aviation industry. Flynas is to launch 14 direct flights from the Kingdom’s airports to major cities in Pakistan, beginning on Thursday. Speaking to Arab News, Pakistan Ambassador Khan Hasham bin Siddique said: “It is a matter of great satisfaction to see flynas resuming its operations in Pakistan. Air links are vital not only for facilitating travel between the two countries but also for enhancing overall relations by further strengthening people-to-people contacts, business interactions, bilateral trade, and tourism. ISLAMABAD (UrduPoint / Pakistan Point News - 27th Mar, 2018 )Pakistan’s biggest New Islamabad International Airport (NIIA), built on the designs of Mughal and Spanish architecture and equipped with latest technology, is set to be inaugurated on April 20. The Civil Aviation Authority (CAA) has directed the departments currently operating at Benazir Bhutto International Airport to shift their offices to the new airport by March 31. Being the biggest airport of Pakistan containing latest facilities and technology, the NIIA can provide travel facilities to 28 airplanes at the same time. The airport is designed as an aviation hub of the region while a five star hotel, a three star hotel and a sports complex will also be built inside the airport. To facilitate and entertain the passengers, the airport also comprises three shopping malls, a golf course, cinema house, hospital, convention centre and duty-free shops and restaurants. According to CAA Planning Director Nadir Shafi Dar, a self-check counter, long-time parking, eight fire crash tenders, latest air field, an MRO system to provide technical assistance to the airplanes and a separate cargo terminal of international standards have been built in the new Islamabad airport. A cargo village has also been built on the airport while ground handling agencies have also started operating, the director added. The runway of the NIIA is more than 3.5 kilometres long making it the longest runway of Pakistan. Any aeroplane of the world, including the A-380, can land at this airport. At least 4,000 personnel of the Airport Security Force along with contingents of Rangers will be deployed to provide security to the airport. Moreover, latest laser security system has also been installed for the purpose. Emirates’ special one-off A380 flight landed in Islamabad on Sunday with celebrities, officials, diplomats and journalists on board. Though it was a one-off A380 flight between Dubai and Islamabad, the airline wants to make it a regular daily flight in future. “This is our special flight but we want to operate regular daily flight on an A380 from Dubai to the new Islamabad airport which is fully equipped to receive the big aircraft,” said Shaikh Majid Al Mualla, Divisional Senior Vice President Commercial Operations Centre, Emirates. The new Islamabad International airport opened in May. Speaking to Gulf News on board the A380, Al Mualla said that negotiations with the authorities concerned in Pakistan have already started in this regard. We are very hopeful that passengers on this route would soon enjoy regular A380 flights. “We came here to showcase our innovative products and will continue to work with authorities to realise our plans to increase capacity to all routes to Pakistan,” he added. The special A380 flight departed Dubai at 8.15am and arrived at the new Islamabad airport at 12.20pm. The flight departed Islamabad at 15:40 hours arriving in Dubai at 17:45 hours on the same day.